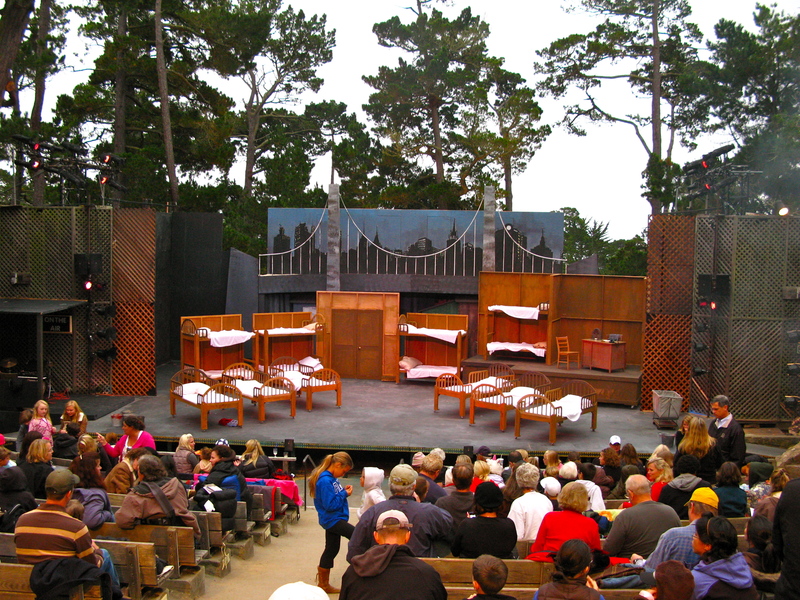 The first theater in Carmel is created by Herbert Heron, a professional actor with the Belasco and Morasco Stock Company in Los Angeles. 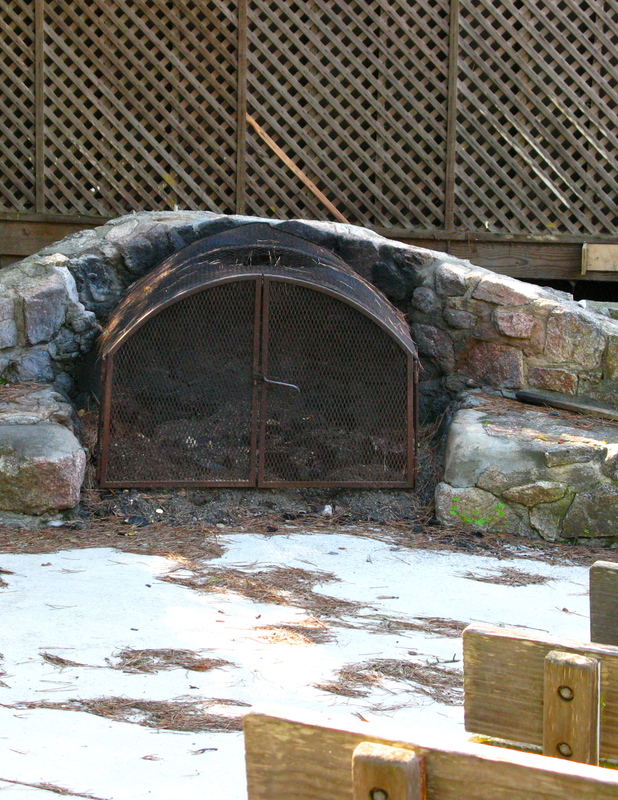 He first visited Carmel in July 1908 and returned a year later to build a home at Guadalupe and Mountain View. 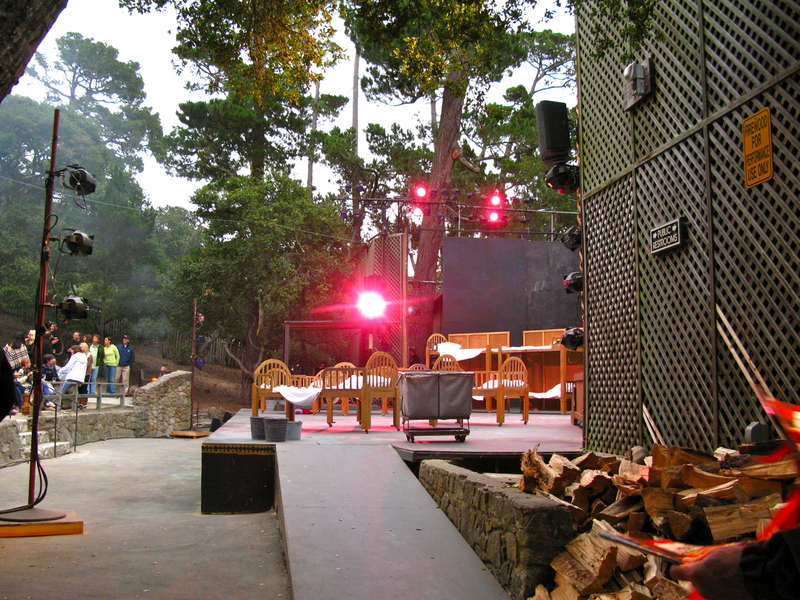 He selected a site for an open air theater in the eighty Acres which Devendorf gave to him on a long-term lease without rent to build a stage and seats. Devendorf was so excited about the idea that he tossed in the reminder of the block and two workmen to help clear the grounds. 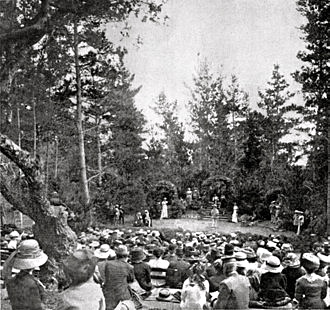 By 1910 there were enough interested people living in Carmel to form the Forest Theater Society. 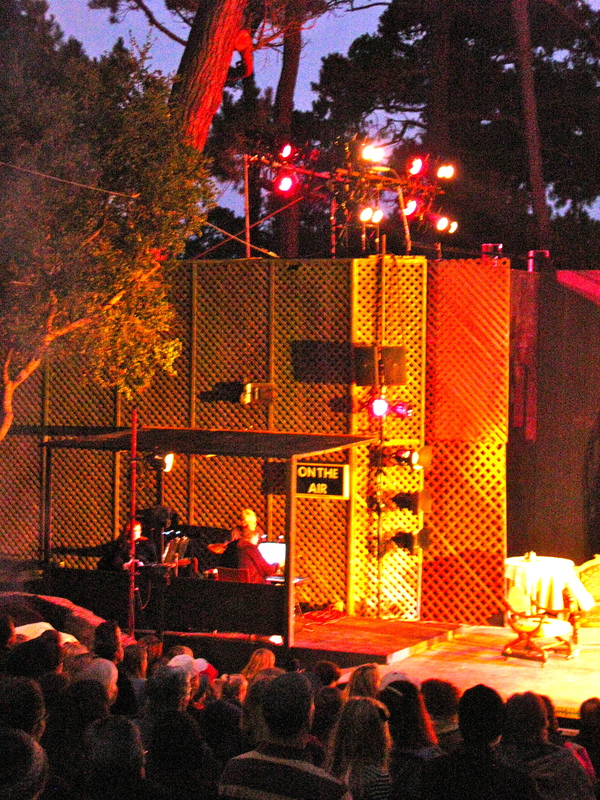 It was to produce plays by local writers, and to give local writers the opportunity and experience of writing, producing, acting and directing as well as stage and costume design. 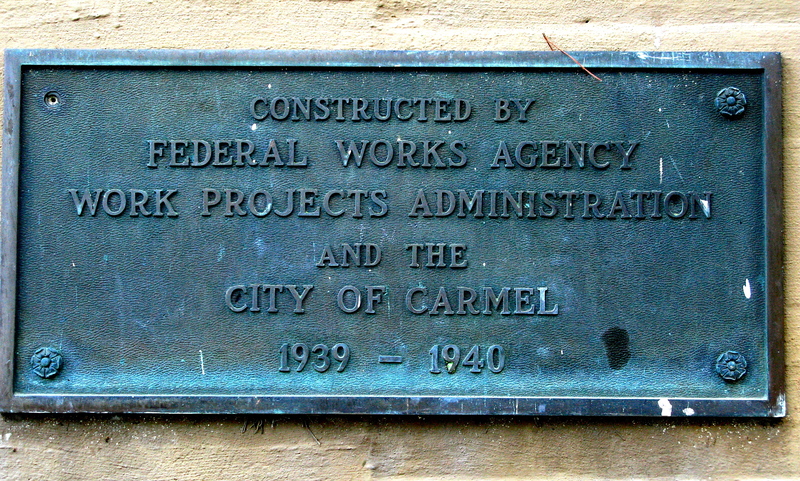 During the Depression Era productions at the Forest Theater is halted, and the facility is deeded to the city of Carmel so that the Public Works Administrative can rebuild the stage and continue its upkeep. 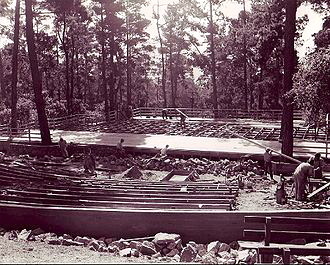 From 1939 to 1940, the Theater is reconstructed by the Works Progress Administration under direction of local builder Hugh Comstock. 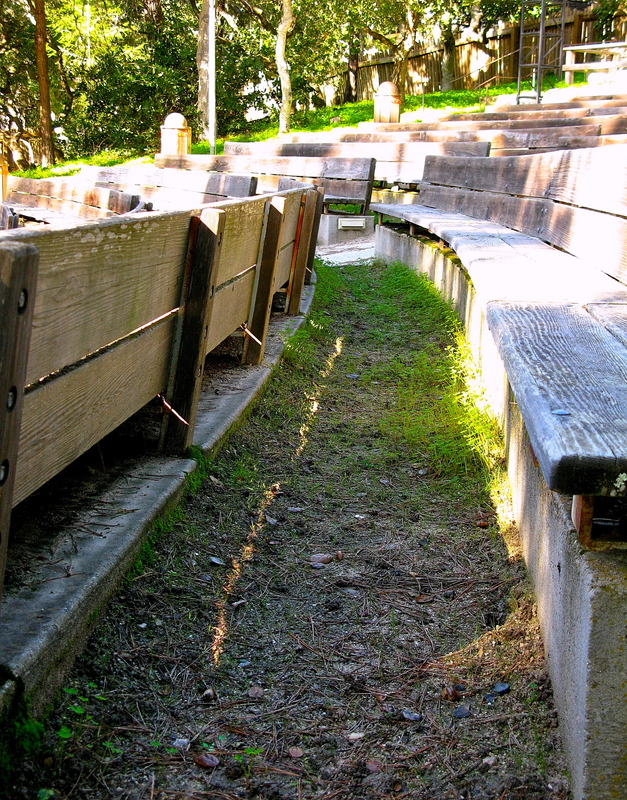 In 1949 after being dark for nearly a decade, the city-owned theater sought a sponsor. 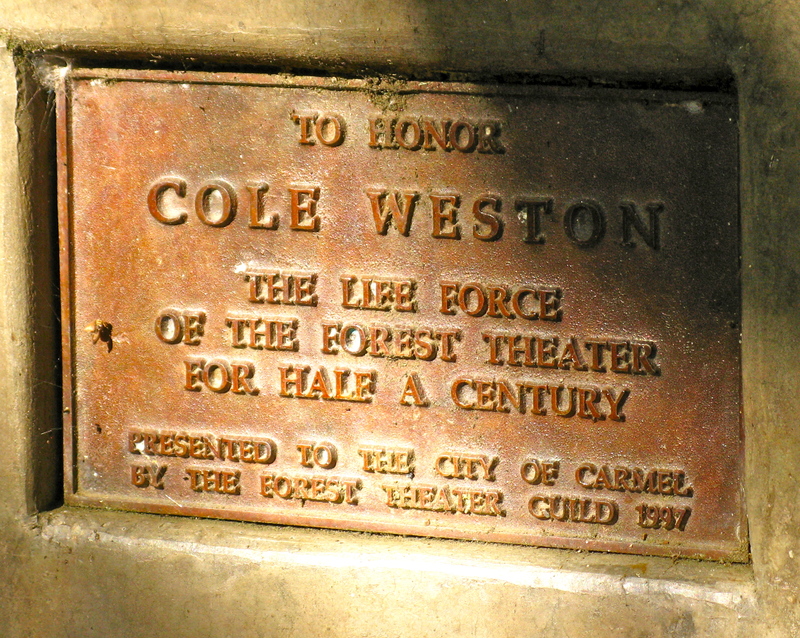 Founder Herbert Heron met with Cole Weston, son of famed photographer Edward Weston, and twenty villagers; together, they formed the Forest Theater Guild, which was charged with the Theater’s financial oversight. 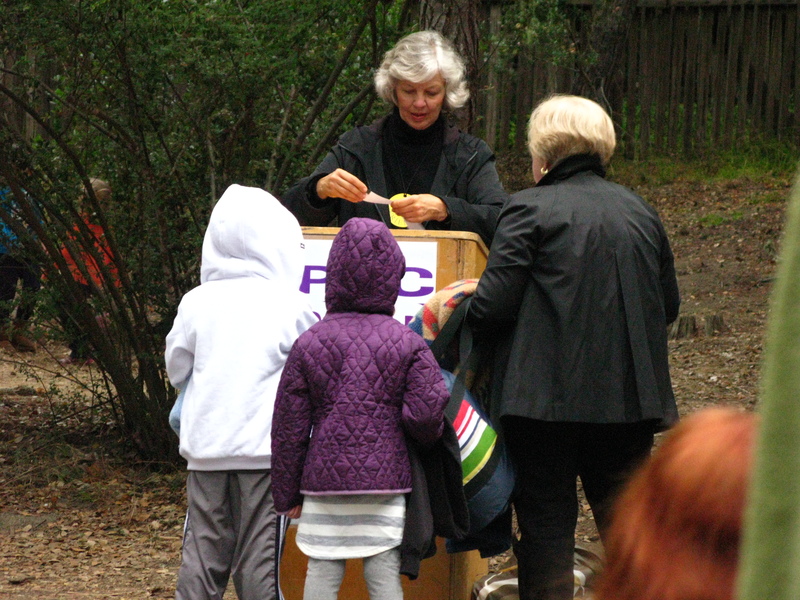 and walk past the refreshment stand. 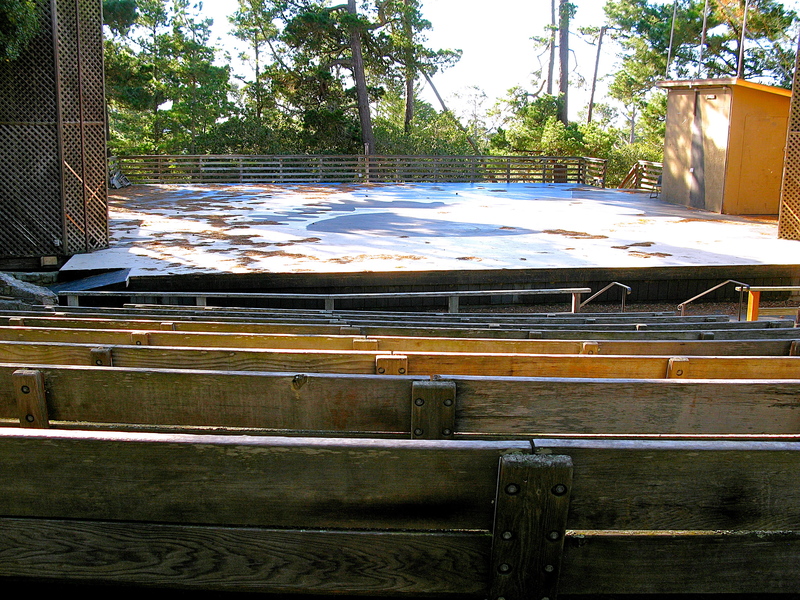 When I photographed the Forest Theater in January it was a quiet, bare scene. That is all changed as we round the corner. 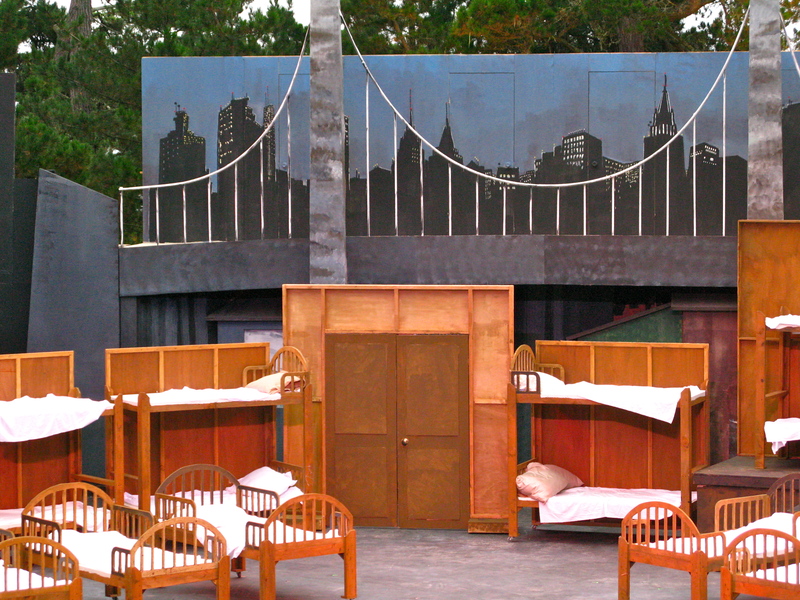 The empty stage is now an orphanage under the stars. 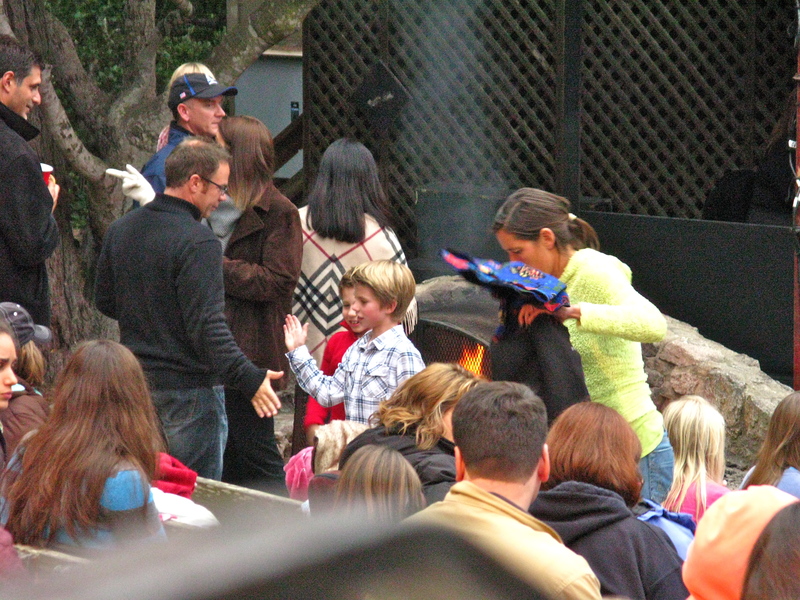 chatting away before the performance. 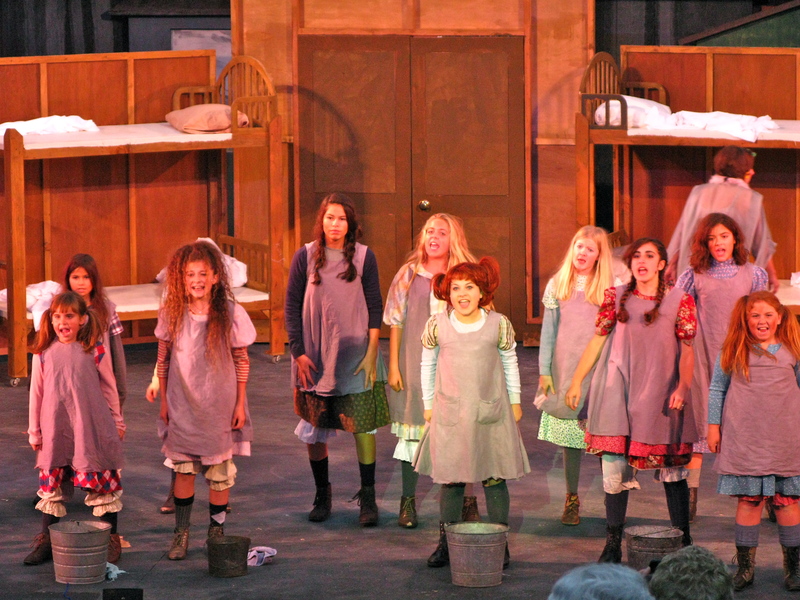 We are seeing “Annie- The Musical starring young performers Melissa Friefeld and Miranda Perl in the title role, the show follows optimistic young Annie and her loyal dog, Sandy, as they escape the dastardly Miss Hannigan (Gracie Moore Poletti/Jennifer Newman) and find a new home with billionaire Daddy Warbucks (J.T. 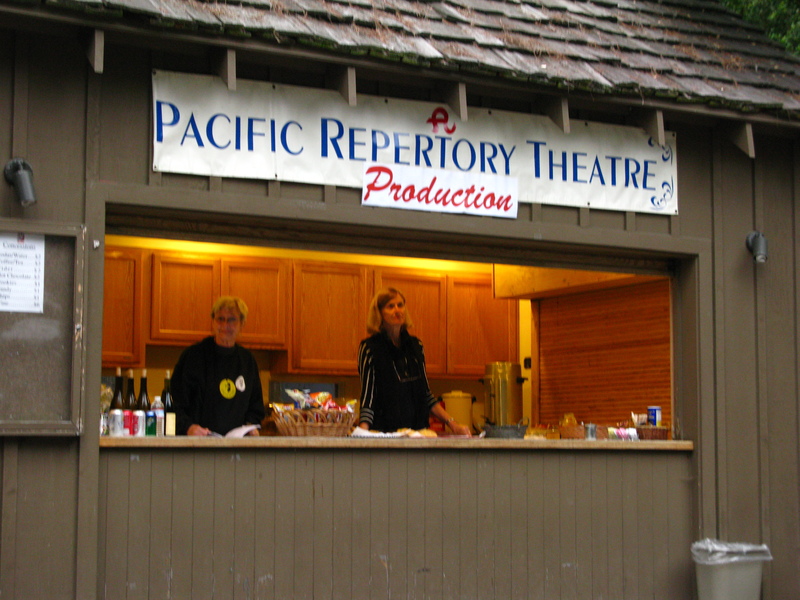 Holmstrom).With a supporting cast of over 70 performers, the Pacific Repertory Theatre production runs through September 25. Tonight Melissa is Annie and she does not disappoint. 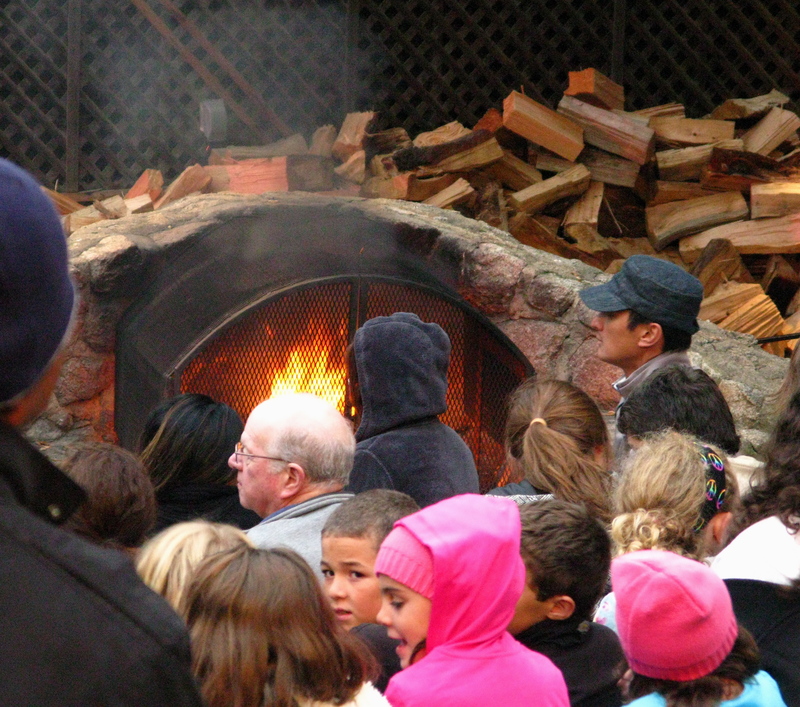 The fog rolls in lightly misting us but everyone is already caught up in the magic. We snuggle closer under our blankets and watch. 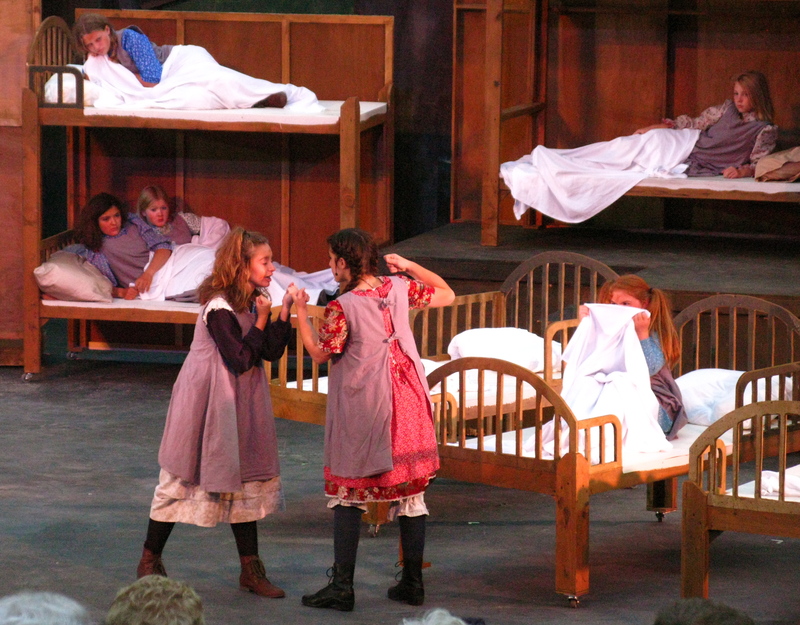 Grace: Miss Hannigan, I am the private secretary to Oliver Warbucks. 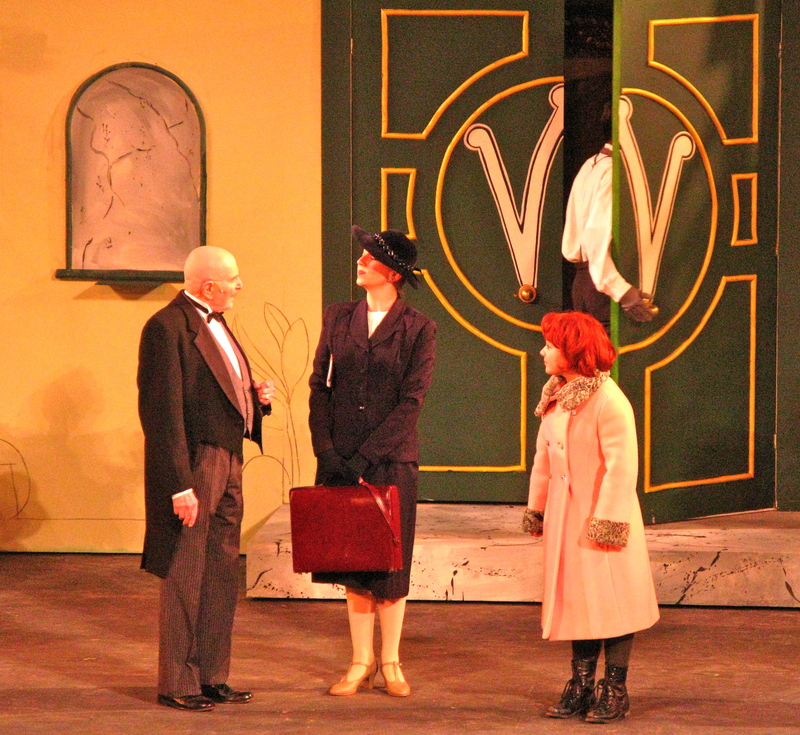 Miss Hannigan: The Oliver Warbucks? Oliver Warbucks the millionaire? Grace: No, Oliver Warbucks, the billionaire. 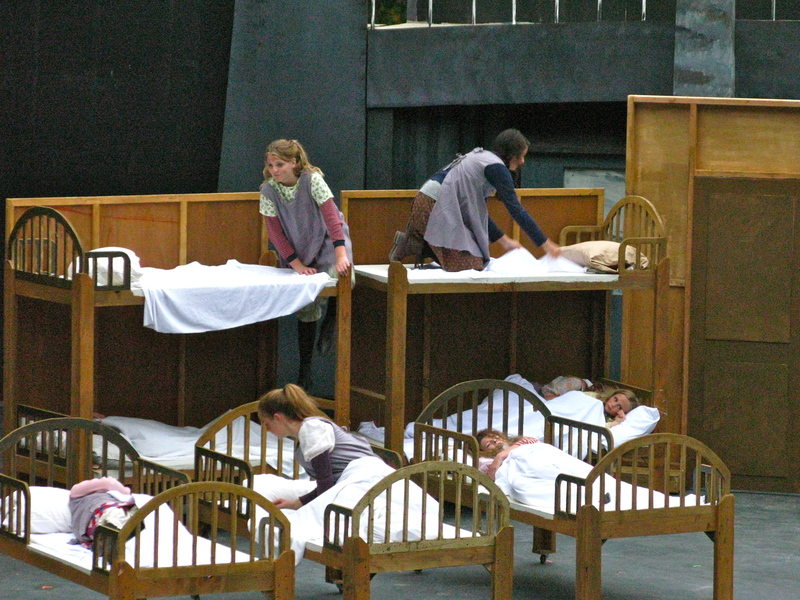 Grace : What about this child? 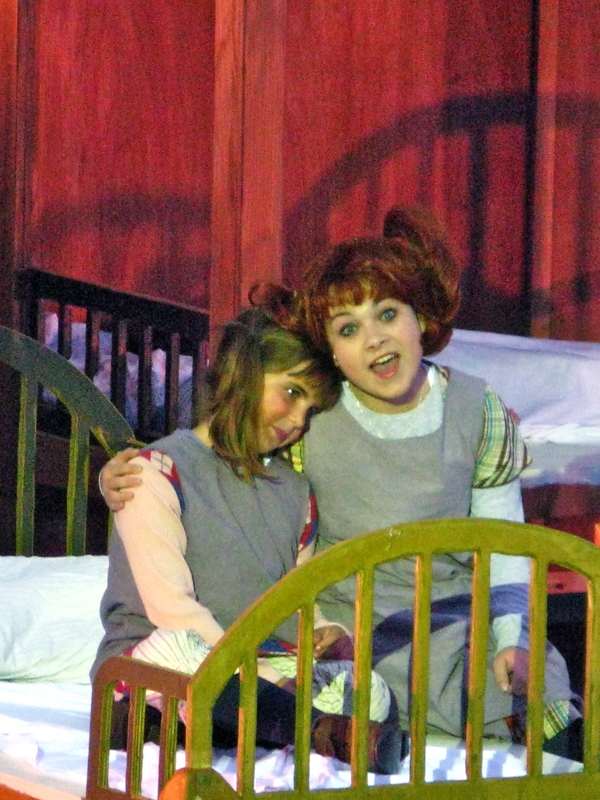 Miss Hannigan: Annie?… Oh, you don’t want Annie. 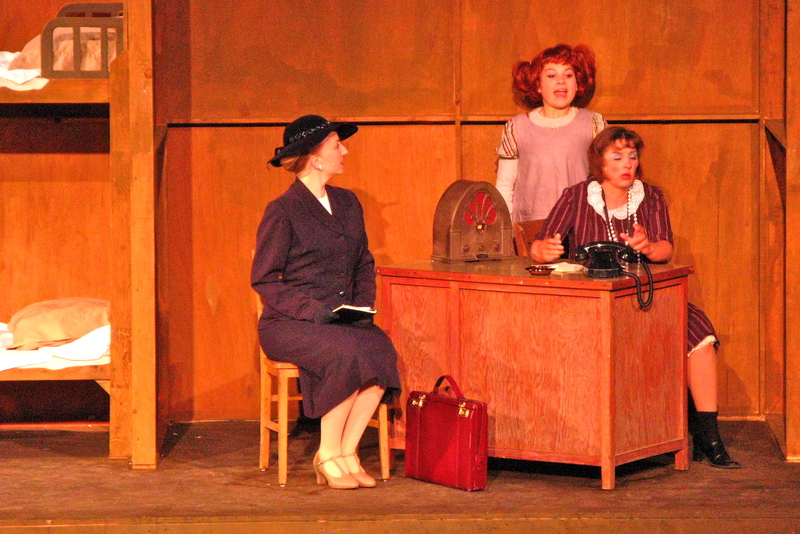 Miss Hannigan: Because… Because she’s a drunk! When the show is over, we pack up our belongings, turn on our flashlights and walk home through the fog. For days after we sing about how we are “never fully dressed without a smile”. 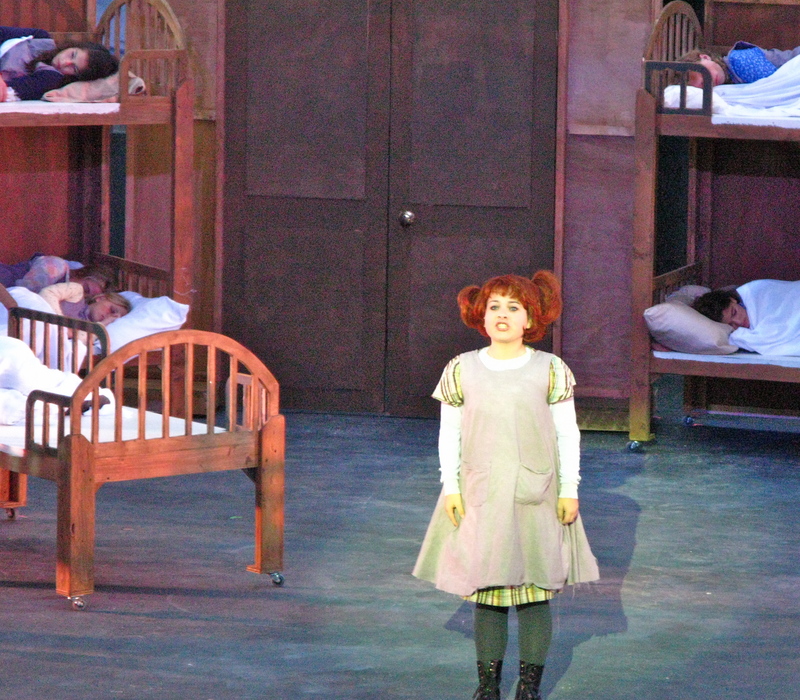 I have seen Annie many times, but I know this one will be the most memorable.